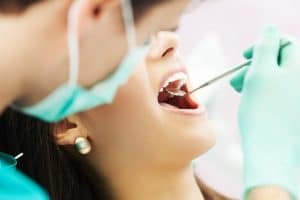 Fighting gum disease in its most severe stages can involve a number of specialized periodontal treatments, such as laser periodontal maintenance and gum grafting. Before it develops, however, gum disease can often be prevented with a good hygiene routine and regular preventive dental care. The key is to stay consistent in your routine; harmful oral bacteria are a constant threat, and lax hygiene is one of the most influential factors in gum disease development. A healthy human mouth contains over 600 different identifiable kinds of oral bacteria, some of which are necessary to maintaining good oral health. Others, however, can prove harmful when they metabolize certain nutrients, or produce molecules that affect your mouth’s delicate ecosystem. The key to mitigating such threats is to control the number of bacteria present at any given time, such as by brushing and flossing your teeth twice every day. Because you can easily miss a spot of plaque once in a while, this also requires attending regular checkup and cleaning appointments to remove calcified plaque, known as tartar. If you miss a brushing and flossing session at home or skip a dental appointment, then harmful oral bacteria can migrate underneath your gums and lead to gum infection. Known as gingivitis, this infection results in red, inflamed, and occasionally bleeding gums, and before long, gum disease can cause significant damage to your periodontal tissues. When you have gum disease, effective hygiene becomes your main tool for controlling it and preventing more severe complications. In addition to regular cleanings, this may include deep periodontal cleaning, LANAP® laser treatment, and/or gum grafting to restore damaged gum tissue. Practicing better hygiene significantly increases your chances of preventing gum disease, which significantly reduces your risks of things like jawbone erosion, tooth loss, systemic disease, and more. To learn more, schedule a consultation with Dr. Kania by calling her periodontal office in Encinitas/San Diego, CA, at (760) 642-0711.